BRIDGEPORT, Connecticut (WABC) -- The man accused of of taking off with his daughter after killing her mother in Connecticut appeared briefly in court Wednesday. 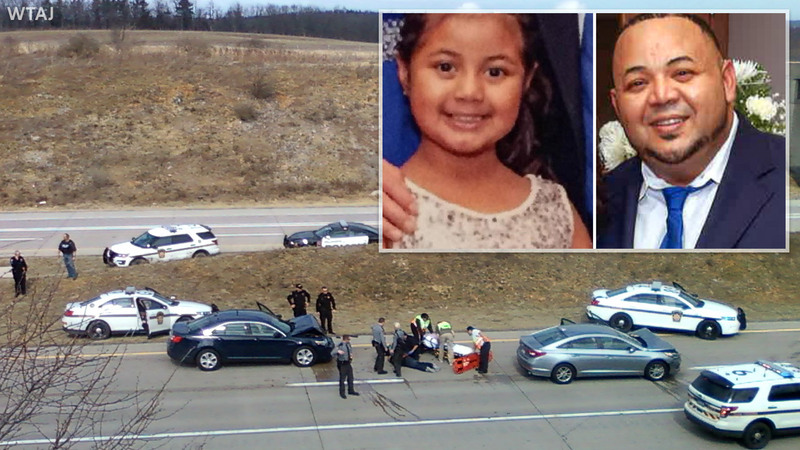 Oscar Hernandez is the suspect in a double stabbing who prompted an Amber Alert after he allegedly took his daughter to Pennsylvania following the murder. He was set to face a judge Wednesday, but officials say there were no certified Spanish interpreters available. Hernandez will continue his stay in Pennsylvania until he appears again. He is being held at the Centre County Correctional Facility on $250,000 bail. "Oscar Obedio Hernandez, a citizen of El Salvador, was issued a Final Order of Removal by an immigration judge on Oct. 29, 2013. He was removed from the United States by ICE officers in Hartford, CT on Nov. 27, 2013. He has prior felony convictions from 2002 for assault and threatening, as well as several misdemeanor convictions. ICE has placed an immigration detainer with the Bridgeport (Connecticut) Police Department." The detainer means ICE will deport Hernandez again after criminal charges are resolved in the U.S.